There are many Google AdWords management firms around that help lawyers succeed – some that specialize in pay per click management for attorneys and some that provide a range of services. We specialize in helping law firms with personal injury, pharmaceutical liability, family law, and bankruptcy. These are the areas where we have a proven track record. Take a look at our page geared towards personal injury attorneys. Often we can generate leads for personal injury attorneys under $200 per lead. And if you’re looking to also generate family law leads we can usually generate those for between $30 and $80 per lead. Bankruptcy leads usually cost around $50 per lead. A brief summary of the results we have achieved for each of these practice areas can be found below. Here you can see the results we have achieved for a family law firm in early 2017. Honestly these the best results we have ever seen for family law. 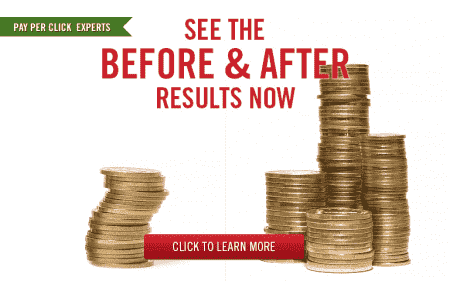 More typical results range from $30 per lead on the low end up to about $80 per lead. Our years in the business of lawyer Google AdWords management means we have been able to hone our skills for law firms’ specific needs. And the results we have seen in our lawyer clients’ pay per click campaigns as well as the lawyers’ response to those results prove just how much success we have had. Pay per click campaigns are also affected by things like search engine optimization and website design. Incorporating all of these things into a management approach is the best way to handle Google AdWords management. While SEO does not directly influence a pay per click campaign, things like website design and landing page optimization are important for a Google AdWords campaign’s quality score. However, at Webrageous we believe in helping attorneys with every aspect of their lawyer online marketing campaigns. Because we have experience with SEO and web design (we don’t offer those services anymore) we can make sure to take a holistic approach and not step on the toes of any other team members helping you in these related areas. All of our pay per click management experts are certified in Google AdWords management. They have taken all the exams and continue to update their skills every year. They also make sure they stay on top of the latest developments in Google AdWords management. The beauty of Google AdWords is that it is open to all advertisers, not just those that have a budget of tens of thousands of dollars each month. A good PPC management company should have the expertise in lawyer PPC marketing required to be able to see results even if you have a small budget. If you are asked to invest more and more money into your pay per click campaigns but you aren’t seeing any results then you should be suspicious. At Webrageous we can work with any budget starting at about $2000 per month. So do not delay and contact one of our Google AdWords management experts at Webrageous for the best in attorney pay per click management. We look forward to working with you and for you to join one of our many satisfied clients.